Georgia’s Secretary of State Brian Kemp has resisted all attempts to make the results of the upcoming midterms more secure and verifiable, even turning down assistance from the Department of Homeland Security before the 2016 elections. Now one small county has decided to go it alone and develop a plan to offer residents more confidence that their votes will be counted correctly come November 6. 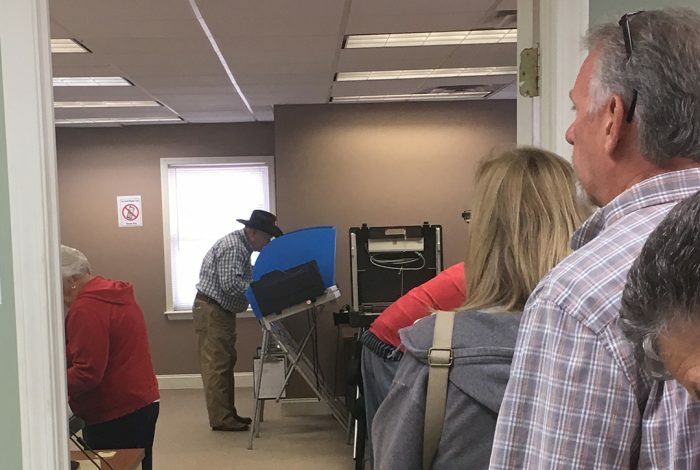 Morgan County — which is about 60 miles southeast of Atlanta — may be the last place you’d expect to see efforts to deal with vulnerabilities of the state’s touchscreen voting machines. The county is home to some 18,000 people spread across 355 square miles. It is also the site of the Cotton Gin Festival, held each November in the town of Bostwick. Last Thursday, the county’s Board of Elections and Registration voted 3–2 to perform a two-part audit on the midterms, hoping to help verify election results. They will recount some of the absentee mail-in ballots — and compare tapes containing each voting machine’s tally with the county server’s results produced at the end of the election. The decision came after the board had voted, in two previous meetings, against moving from touchscreen machines to paper ballots. Dozens of county election boards across the state had also decided not to use paper ballots in recent months. In fact, not one county board even brought the issue to a vote, despite a clamor from local citizens who raised the idea in public meetings. According to activists, this is mostly due to fears of defying the state’s legal opinion that counties did not have the authority to do so. An ongoing lawsuit against the state — focused on its aging voting machines and the vulnerabilities of those machines to outside hackers — inspired and informed those efforts. Georgia is one of only five states that uses machines without paper trails at every polling site statewide. Kemp has chosen to go to court over keeping them in place rather than making elections more transparent and accountable. 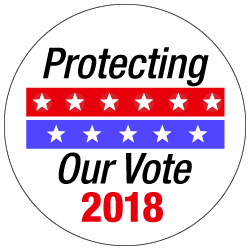 District Court Judge Amy Totenberg ruled on September 17 against a motion that would have forced the state to use paper ballots in the midterms, mostly because the November 6 elections were too close. But her ruling seemed to suggest that counties could take matters into their own hands when it comes to using paper ballots, according to election activists. Meanwhile, the state’s director of elections, Chris Harvey, had already sent a letter in August to all 159 counties asserting the state’s legal opinion that counties could not legally abandon the machines. This tension between the authority of Kemp’s office and the autonomy of local election boards — prodded by residents concerned about their votes being counted — has driven actions ranging from letters to the editor of local newspapers to heated debates with officials used to holding meetings before only a handful of people. While most of these efforts took place in counties with smaller populations, attempts to add transparency to the election also occurred in major population centers such as Gwinnett, Cobb, and Fulton counties — said Dana Bowers, an election activist who lives in Gwinnett. Jeanne Dufort — the person behind the effort to improve election integrity in Morgan County — greeted the board’s last-minute decision to perform an audit with enthusiasm. “This is a statement of independence,” she told WhoWhatWhy on Monday, during a chat in a coffee shop on the leafy town square at the center of Madison, the county seat. Dufort had become concerned about her vote being counted in July, after reading about Russians indicted in part for targeting the election websites of unnamed Georgia counties. She began to read the position papers of the Coalition for Good Governance, a plaintiff in the lawsuit against the state. She went to her local election board’s July meeting with questions in hand. In August, the board assured her that Russia had not hacked into Morgan County’s website — and the board voted 3–2 against moving to paper ballots in November. The board’s September meeting was only two days after Judge Totenberg’s ruling. Dufort asked members to reconsider their earlier vote. 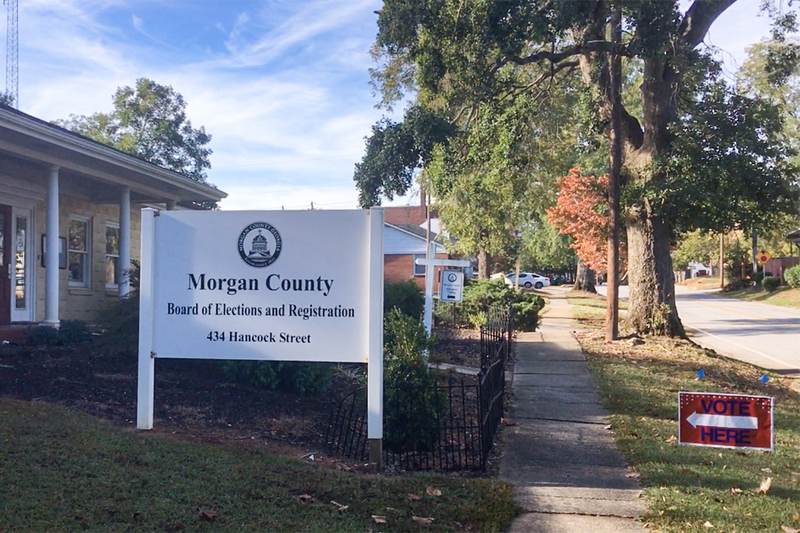 “The [judge’s] ruling was sort of damning for the state,” recalled Jennifer Doran, elections supervisor for the Morgan County Board of Elections and Registration. “It was not a vindication.” Nonetheless, the idea failed again — two Democrats in favor, two Republicans against, and Chairman Michael Ghiotto against. By the time October’s meeting came around last week, plaintiffs in the case had issued another motion for relief. “When I saw the new motion … I saw it gave some reassurance that the votes would be counted,” Doran said. She marked up the Coalition for Good Governance’s press release on the motion, noting what the board could easily do with no additional costs. She proposed auditing a batch of mail-in absentee paper ballots without announcing beforehand which precincts would be audited, and comparing tickets that show results from the touchscreen machines with results from the central server. But 80 miles due north, Packy Mckibben, a retired CNN employee, has had a less-inspiring experience with officials in Stephens County. He, too, had followed the ongoing lawsuit. This summer, convinced that the state’s maligned elections system put the midterms at risk, he asked for one-on-one meetings with his local elections board officials. “I was trying to convince them, but they weren’t going to go out on a limb. It’s a very conservative county,” he said. In August, board members showed him Chris Harvey’s letter, indicating they didn’t want to go against Kemp. The 70-year-old, who said he had “never really done anything political” before, grew frustrated. “When you start speaking with them about DREs [voting machines] and about not trusting them, it’s almost like religion — if you say anything about it in a negative way, they get defensive,” he recalled. He wrote at least six letters to the editor at the Toccoa Record. He shared information from the lawsuit via Facebook with politically active people in at least 35 other counties. Despite his efforts, in Stephens County “there was never really a vote on anything,” he said. WhoWhatWhy reached Marilyn Marks, executive director of the Coalition for Good Governance, before she headed back into federal court Tuesday morning for another lawsuit — this one on the unusual situation in Gwinnett County, the state’s fastest-growing and most ethnically diverse county. Nearly 1 in 10 absentee mail-in ballots have been rejected so far in early voting, for reasons such as lacking the voter’s year of birth. She recalled sending messages throughout the summer to all 159 counties and their election boards and commissions, urging them to use the right she asserts state law gives them to pursue using paper ballots. “It is absolutely shameful that all of these counties have the duty to protect voters’ rights, and the judge [Totenberg] said the state’s system infringes on voters’ constitutional rights, and yet they basically said they don’t care and they’d rather do what’s convenient,” she said. At least one member of the rural county’s board was optimistic on the heels of the decision. “I’ve always been told that you might not get to eat the whole elephant, but you take one bite at a time,” said Helen Butler, who has served on the board since 2010 and is an elections activist known to many Georgians. Correction notice, 10/25/18, 5:23 p.m.: An earlier version of this article mistakenly identified Helen Butler as Helen Becker and Jennifer Doran as Jennifer Daron. We regret the errors.